What if everyone made just one small smart decision every day? How much of a difference do you think that would make? Sure, one person's actions may not seem like much, but when everyone joins in, the impact can be huge. Tetra Pak® carton packages, designed for maximum efficiency and environmental friendliness, are one small way to live smarter and make that difference. The cartons are made of 70% paper, a renewable resource, from selectively harvested, re-grown trees that are FSC-certified (Forest Stewardship Council) and use 1/3 of the packaging compared to cans. 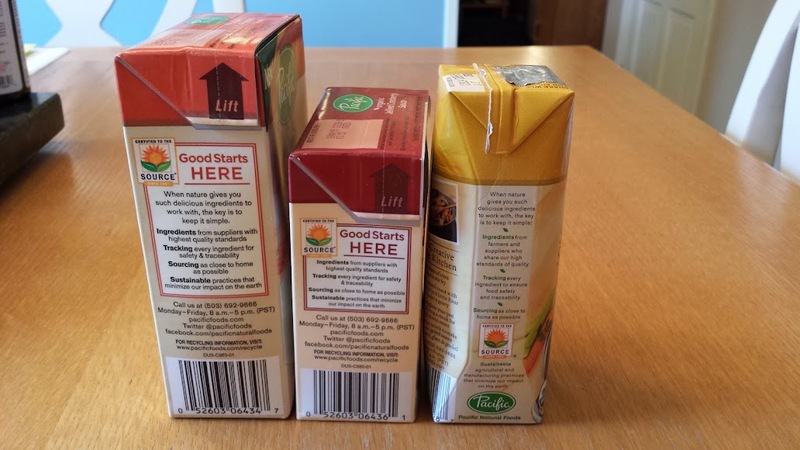 Cartons are space saving, easy to store and open, and the unique packaging process preserves the flavor and nutrients of food without the use of preservatives. So, not only will you help the environment by putting less waste into landfills, when you Become Carton Smart you'll also be able to feed your family better quality food. 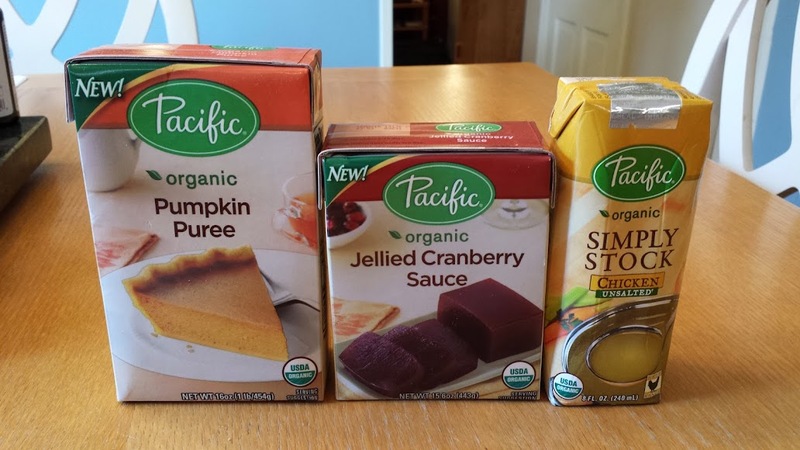 I received Tetra Pak® carton packages of Pacific Foods Organic Jellied Cranberry Sauce, Pacific Foods Organic Pumpkin Puree, and Pacific Foods Organic Chicken Simply Stock - the perfect products for the upcoming Thanksgiving holiday! Cranberry sauce goes with turkey, the stock can be used to make the dressing, and I think I'll use the Pumpkin Puree to make a batch of these Pumpkin Oat Muffins. 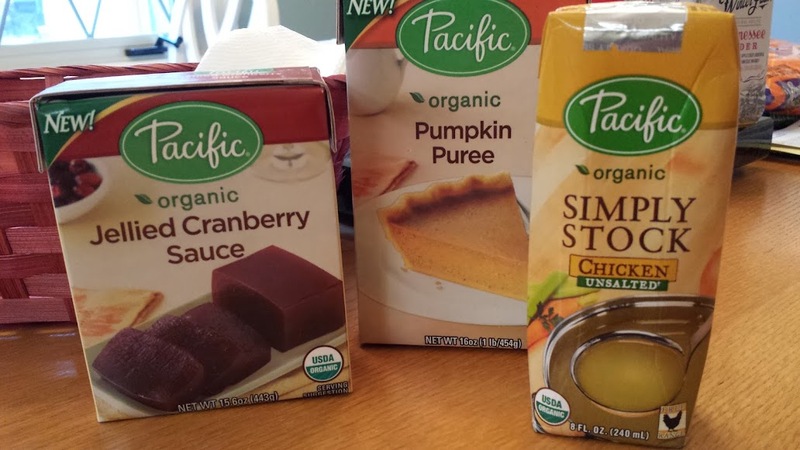 What's great about these cartons is that they're reclosable, so I can use the 1 cup of pumpkin I need for the muffins and easily save the rest in the carton for later. How convenient is that? I also like that the cartons fit together nicely - meaning they're great for stocking the pantry. I am definitely going to have to look for other products I can get in these cartons. Be sure to Follow #CartonSmart on Pinterest to see lots of great small, smart choices that can add up to make a big difference, and if you have some ideas of your own, be sure to Tweet @CartonSmart to share them. How will you be #CartonSmart this holiday? Will you buy at least one of your ingredients in a carton? Recycle all of the cans and jars you use? Use real dishes so that you aren't throwing away a bunch of paper plates and plasticware? I'd love to hear your plans.